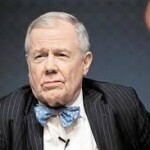 Jim Rogers’ statements were so provocative that they made the blood of the Gurus boil. “Cleaning toilets is wonderful, but as far as building the economy or changing India (goes), he has not done very much,” Jim said in a contemptuous tone about NAMO. 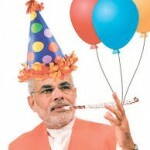 “Modi has done nothing but talk …. 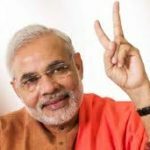 International investors are getting a bit tired of the Modi talk unless something real happens soon … I don’t know how much longer I and other global investors will hold on to the Indian markets,” he raged. Jim Rogers’ diatribe provided fodder to eminent intellectuals like Deepak Parekh, the Chairman of HDFC, to attack NAMO. “Nothing has changed in the Modi Raj… after nine months, there is a little bit of impatience creeping in as to why no changes are happening and why this is taking so long having effect on the ground,” Deepak Parekh said. Akash Prakash, the founder of Amansa Capital, also took a cue from this and sent a veiled threat to NAMO that foreign investors are “deeply disappointed” and that they are packing their bags to leave the Country. “India is not the only game in town” he warned in a chilling tone. Junkyard politicians like Sanjay Jha of the Congress party took the opportunity to demean NAMO. Even Markandey Katju, the eccentric retired Judge of the Supreme Court had his say. The Gurus united as one to attack Jim Rogers and discredit him. While Porinju Veliyath and Samir Arora took pot shots at Jim Rogers on twitter, Sandip Sabharwal wrote a detailed piece in which he called Jim Rogers a one-hit wonder and said he is shocked “to see the kind of publicity Jim Rogers is getting in India for his anti India rants and a distorted view of India”. Nilesh Shah, the whiz-kid with Kotak Securities, took the game away by writing an open letter to Jim Rogers in which he recounted all the achievements of NAMO and counselled Jim about the virtues of India in a way one would do with an ultra novice investor. “I urge you to consider investing in equity mutual funds as most of us are outperforming the benchmark indices by large margins ….. Don’t go by the headlines …. Do your own analysis …. India is changing with newer and better business models. There will be many winners and a few losers …. Most of the times, it makes sense to listen to all but to choose your own path,” Nilesh said, talking in a slow and measured manner so that Jim could comprehend. However, then the unthinkable happened. The markets went into a savage tail spin. All the negative things that Jim Rogers had said about India appeared to have come true. One can gauge the extent of the bearishness at that time from the fact that Porinju Veliyath, who is otherwise famed for his perpetual bullish stance, tendered a formal apology to Jim Rogers and also deleted his tweets. Understandably, Porinju’s action sparked fear amongst his army of followers that a prolonged Bear market is here to stay. @porinju Do U think its an bear market ? @porinju so does this mean the legend Porinju accept failure of Modi? Today, the wheel has come full circle. The correction of the past is now a forgotten memory. The markets are surging to new heights. “I am amazed, shocked and stunned on GST,” Jim Rogers said, rubbing his eyes in disbelief at the magnificent achievements of NAMO. “If Modi continues doing stuff like GST, then not just me, everybody has to pay a lot more attention to India,” he added. Jim lamented his premature decision to sell off Indian stocks. “I believed that Modi did nothing but talk, hence I sold out of India. The currency and Indian markets have gone up quite a bit after I sold out,” he said with a sheepish smile. The astonishing aspect is that despite the realisation that he committed a major goof up by selling Indian stocks prematurely, Jim Rogers is behaving with child-like obstinacy and finding new excuses to avoid buying stocks. 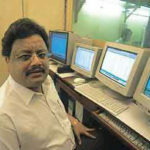 “The Indian Equity markets are at an all-time high …. I am not aware of any big steps to boost FDI …. I don’t want to jump into a moving train. When you jump into a moving train, you get hurt,” Rogers ranted even as Ayesha Faridi, the charming editor of ETNow, stared at him with a bemused expressed on her face at his naivety. Understandably, Jim Rogers’ recalcitrant attitude with regard to Indian stocks has again got on the nerves of the savvy investors. Nilesh Shah has again written an open letter titled “Don’t repent, please return to D-Street” in which he has tutored Jim Rogers the way one does to a nervous novice investor who is investing for the first time. “Numerically, Sensex is near an all-time high level, but from the valuation point of view, it is far away from the levels seen in bubble years of 1992 and 2000 or expensive valuations of end 2007. My recommendation will be to look at valuation, not numerical level of index,” Nilesh said in a soothing tone to calm Rogers’ nerves that the valuations are too high. “We have made money for our unit holders for the past 20 years by investing even at times when markets were at an ‘all-time high’, as you like to say. We could do it as we were focused on stocks,” he added. Nilesh drew an analogy between planting a tree and investing in stocks, knowing that even a dimwit would understand the comparison. Jim Rogers’ comment that he does not like to “jump into moving trains” met with a scathing response from Nilesh. “For the last 20 years, I have advised my investors that you must jump into equity train irrespective of whether it is standing or running. There are chances that you might get hurt if you catch a running train. But time will heal all your wounds. What is more important is to be on the train rather than waiting on the platform for the next train to arrive”. “My recommendation will be to take some risk and get the thrill of catching a running train. It will be equally joyful like your bike ride around the world,” Nilesh added with a wicked smile on his face. 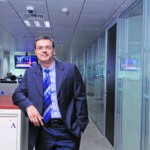 “For a long-term patient investor, India will remain a good opportunity. I strongly recommend you to jump in the moving train and be part of the fabulous India Growth Story. I am sure you won’t be regretting that decision in future,” Nilesh beseeched Rogers. It is obvious that Nilesh Shah’s diatribe towards Jim Rogers is actually directed towards novice investors like you and me. We also have the bad habit of making child-like excuses to avoid making investment decisions. This has already cost us dearly and we will continue to pay a steep price if we continue our abstinence. We need to pay heed to Nilesh’s advice and “jump into the moving train” even if it means “getting hurt” in the short-term! Dolly khanna enter in DAAWAT. But you are not update till now. surprised to hear someone isn’t making in this market conditions. I feel surprised that he still has an opinion about Indian Stock Market! 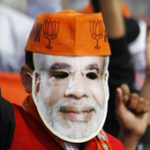 As far as Jim Rogers comments about cleaning of toilets in India,I don’t agree as Modi even failed in that in addition to doing nothing about Indian Economy.Modi only contribution to Indian economy is Demonetisation ,which sent our Economy back by one year .What Jim Roger is missing that Indian Economy is not about Modi or any other leaders,as our political leaders only know how to fool Indian Poor people ,and I agree that Modi is smarter than his Oppoent in this .But Indian Economy is about Indian Enterpenures and great Indian middle class ,which will ensure growth inspite of political speed breakers .So stay invested. GST is Manmohan’s pet project not Modo’s. In fact Modi opposed that time. He said, I don’t think India needs GST. Exactly, When MMS was trying to make the GST to pass out, NANO and his party was against and now trying to take the fraternship of GST!!! Eagerly waiting for the days when very “competent” Raga becomes the PM and leads our failed economy to an unprecedented Golden Era. Unfortunately the Indians are an intelligent lot. Ignore him. He is an IDIOT. GST will create chaos among mid cap & small cap companies. It will take lot of time to figure out the right way of working in GST environment. So, there is bound to be lot of hiccups in the middle. State govts. & central govt. will have to work in tandem which according to me is extremely difficult. Jim Roger shows that even great investors sometimes make silly and unwarranted comments and later repent. At least he has acknowledged it now. Why Jimmy is getting so much attention, which does not required?